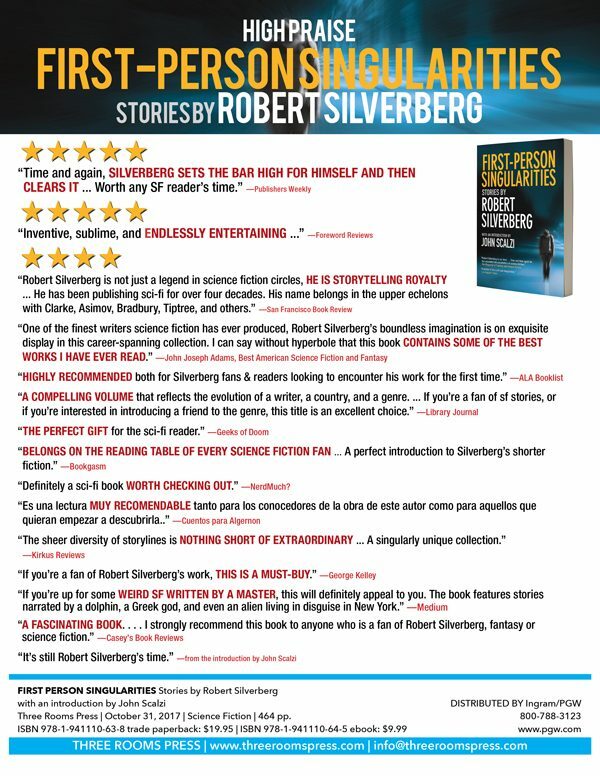 Home→reviews→Does everyone love FIRST-PERSON SINGULARITIES by Robert Silverberg? Umm…Yeah! The new short story collection by beloved sci-fi Grand Master Robert Silverberg continues to bring in rave critical praise. Check out what they’re saying below. Then be sure to get this book for yourself–or as a gift! Available now from Amazon, Barnes & Noble, IndieBound, or directly from our website.